The Record Release Party is going on in Oakland on the evening of the 24th. It will be at Club @17 beginning at 9:00P PST. There should be a lot of excitement happening next Friday as local celebrity host Chuy Gomez and our own world beloved Ralph Tresvant tear up the night to show appreciation for all of you who can make it there and even those who can't. We also have potential (tentative) dates coming up for Washington, DC. (March 31st), Little Rock AK (April 14th), We have a KBLX - Radio, Ralph Tresvant Day, San Francisco, CA (April 7th), New York, NY (April 28th), Detroit, MI (May 6) and Los Angeles (May 21st). We look forward to seeing everybody there who can be and we will try to schedule additional dates to provide opportunity for as many others as we can in preparation for a Ralph Tresvant Tour (hopefully) some time this summer. March 10th Philadelphia PA. WPHI 103.9 The Beat Radio Shows, In the Studio Phone Interview and promoting & Playing the New CD. Ralph will also be on the Tom Joyner Show (7:30a CST) and The Steve Harvey Show (9:00a EST) on March 7th (the album street date) promoting "RizzWaFaire" across the country on syndicated radio. Directly from Xzault Media to you: Xzault Media would like to send a special shout out and thank you to Ms. Kim (you know who you are), for helping us get the posters and cards ready to send out for all of you great Superfans and others who will be hanging them. If you have not received your posters, let your webmaster know and they will pass the message on to us (Remember that the posters and flyers have only been sent to a limited number of folks in particular regions and markets for right now)..We are looking forward to seeing them posted everywhere and can't wait to get the pictures of all of the cool and creative places they are hanging. Make sure to get a picture of you with the poster and get it back to us so we can brag about you.... The rest of you who do not have your posters yet, they are on their way. We are waiting on the printer to ship some new ones to us soon... We will get them out to you ASAP. NOW, for some REALLY special news for the Little Rock, Arkansas fans. It is our proud and illustrious honor to announce that Ralph Tresvant will be the host of this years KHTE Platinum Hood Awards on June 3rd in Little Rock, Arkansas. Make sure you Lil' Rock fans call the station hosting the event at 501-219-1919 and thank them for bringing Ralph to your town and request the single "HomeGirl". And listen to the KHTE Brad & Toni in the morning show to get more information as we get closer to the event. ALSO..... A number of Record Release Parties are currently being planned for different areas around the country (tentatively in March/April). We do not have definite dates or locations for them yet, but we will keep you posted and let you know as soon as they are scheduled and confirmed to happen. Ralph will be at each of these evnets when sponsors step up and the events become reality, so it will be a great opportunity to spend some quality time with the man HIMSELF !!!....Plus. keep an eye on your local WalMart, Kmart or Circuit City outlets over the next few months as Ralph may be doing some in-store promotions in those outlets in some of the larger markets when the CD is released...It will be another chance for you to see the man, hold the hand and share his presence with other fans....When the time comes, We will try to give you as much advance notice as possible, so let's all try to get as many folks to come out and rock the house as we can and show them that Ralph T and his loyal fans are a true force to be reckoned with. Also, as we go along, don't forget to let us know here at Xzault what we can do better to help you in your efforts, Let us know if you see a problem and we will do our best to make it right. We are only human so from time to time we may make a mistake or be a little slow on getting something done, but where the fans are concerned, you ARE special to us and we will always strive to do what we can to make you first and foremost in all of our efforts...Again, and as always, we at Xzault Media Group extend our deep appreciation and gratitude to you for your undying and tireless efforts on behalf of RT. You all know he loves you for it and so do all of us here at Xzault. We know that without you, we would not be where we are. So for that....We say, Much Love and God Bless You. Ralph Tresvant taped the first video from his album, My Homegirl, on January 29, 2006. He also met with fans who attended the video shoot. The video may be available for previewing on TV by late February, so look out for that. You won't be disappointed. Ralph's new album RizzWaFaire is Everywhere, literally! It has been received very well in over 40 countries around the world and the reaction at the annual Midern Convention in France was, "Outstanding." GO RALPH!!!!!! Also, everyone please buy RT's CD when it comes out March 7th, buy a couple copies....the CD was leaked and the one going around is the unmixed, unmastered studio version, so if you want the REAL thing, go out and buy it on March 7th or pre-order it on Amazon.com today!! Look for Ralph in the Play entitled The Man of Her Dreams touring now. If you are HUGE fan of the Greatest R&B group of all time then I want to hear from you! I want you to express your love in this "Tribute to New Edition". So let's all participate in showing NE how much we love them by collectively putting together a DVD tribute from their fans. As Johnny and Ralph said on Behind Closed Doors "It's just us and our fans, that's all we got". love now is the time! *Send a videotape/DVD with a maximum of 2 minutes of footage. * Once tapes are received they will be professionally edited and place on a DVD and given to NEW EDITION. ***This is NOT a contest and all submissions will be used. I would like this to be completed before the "Spend the Night with New Edition Concert"
***I spoke to Ralph (Saturday after the Play) and mentioned the tribute to him and he said he can't wait to see it! 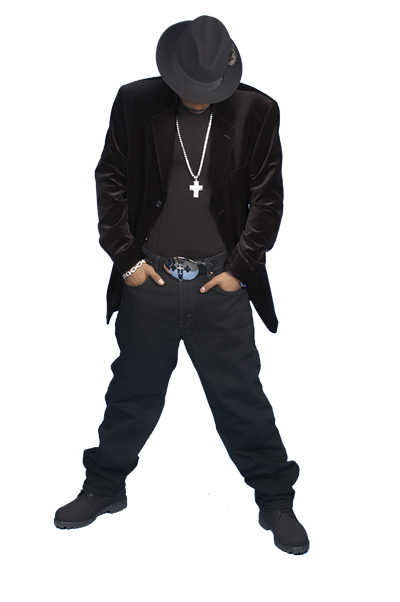 Go to iTunes.com and download Ralph Tresvant's new singles, My Homegirl and Something To Give U.
Ralph Tresvant and Xzault Media Group will be in Las Vegas Dec. 18 & 19, 2005, during the Radio Music Awards, Ralph will be doing radio interviews and promoting his upcoming CD! New Edition along with Bobby will perform at the BET 25th Anniversary show, air date Nov. 1, 2005. Ralph Tresvant's single has been pushed back to January 2006 and his album will be released shortly thereafter. New Edition and others will perform in Concord, CA, September 24, 2005 at the Chronicle Pavillion. 3 pm local time. New Edition will be part of the Hurricane Katrina Benefit concert in Washington, DC. October 15, 2005, at the MCI Center. 7 pm local time. Bell Biv DeVoe and Johnny Gill and others will perform in Merrillville, IN, October 8, 2005, at the Star Plaza Theater. 7 pm local time.